Tooth discoloration and dental stains can leave you feeling self-conscious about your smile. Thankfully our Lake Mary, FL practice offers teeth whitening treatment, which can significantly brighten your smile in just a single office visit. Thanks to improvements in dental technology, patients can now experience the benefits of teeth whitening at home. Let’s go over the basics of NiteWhite® teeth whitening and what advantages it can have over in-office forms of dental bleaching. NiteWhite® teeth whitening brings the power and possibility of dental bleaching out of the office and into the comfort of your home. Using strong but carefully controlled bleaching agents, NiteWhite® is able to remove dental stains and get rid of unwanted tooth discoloration with ease. NiteWhite® teeth whitening is a tray system for whitening the teeth. Patients will use the carefully designed whitening gel, placing it in the trays that will be worn on the teeth themselves. The whitening gel helps brighten the tooth enamel and bleach away the appearance of stains and discoloration. The NiteWhite® procedure is pretty straightforward. Patients will first brush and floss their teeth thoroughly, making sure there are no food particles left behind that would impact the treatment process. Next, gel is applied to the tray itself. Patients will then wear the whitening tray for as long as their dentist instructs them to do so. Once the tray is worn for the specified amount of time, patients should remove the tray and rinse out their mouth with warm water. A toothbrush can be used to remove any gel residue. Patients will then apply fluoride gel to the tray, and wear that tray for about 5 minutes. Remove the tray and rinse out your mouth again to remove the last of the fluoride gel residue. Tooth sensitivity is a potential side effect when using any kind of dental bleaching system. Thanks to the design of the NiteWhite® bleaching gel, tooth sensitivity is far more mild when compared to other teeth whitening systems. That said, to further limit tooth sensitivity, be sure to use the NiteWhite® system only as directed. Do not wear the trays for longer than instructed, and do not use the system more than your dentist specifies. Should you experience some tooth sensitivity, be sure to eat and drink lukewarm items for the time being. Switching to a toothpaste for sensitive teeth can also be quite helpful. Many patients who undergo NiteWhite® treatment will notice bleaching results within a week to two weeks. 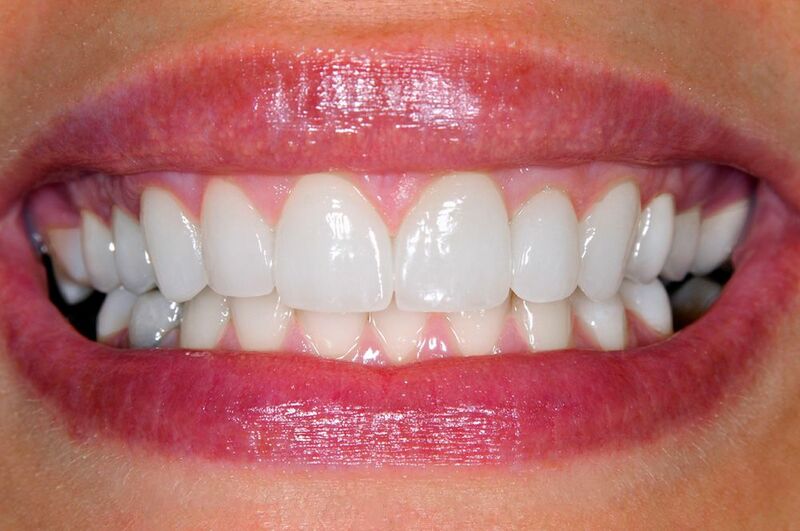 Smiles can be significantly brightened and whitening, leaving you looking your very best in the process. How Does NiteWhite® Compare to In-Office Whitening? While NiteWhite® treatment will take longer to see final results than in-office care, the overall outcomes are quite good. NiteWhite® patients achieve comparable dental bleaching results to in-office teeth whitening systems. The benefits of NiteWhite® tend to offset the slight delay in the dramatic whitening outcomes. For more information about NiteWhite® teeth whitening and whether or not it’s the right option for you, be sure to contact our cosmetic and restorative dentistry center. Steven Hochfelder DMD and his team will help you smile with renewed confidence.